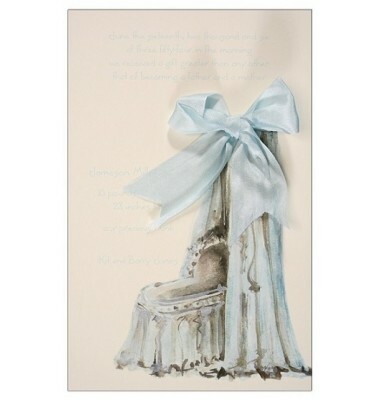 This elegant 5.75" x 8.75" invitation features a bassinet embellished with a real silk ribbon. 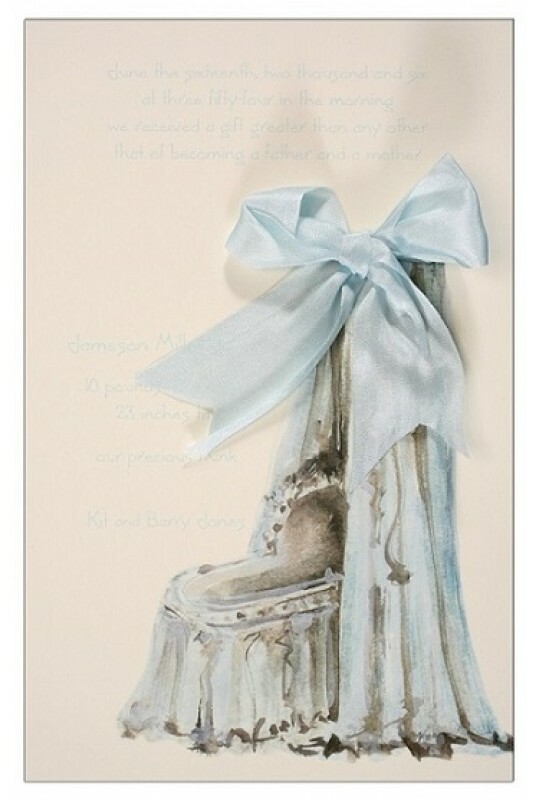 Perfect for a baby shower, Christening or for use as a birth announcement. White envelopes included. Attachment of ribbon required.